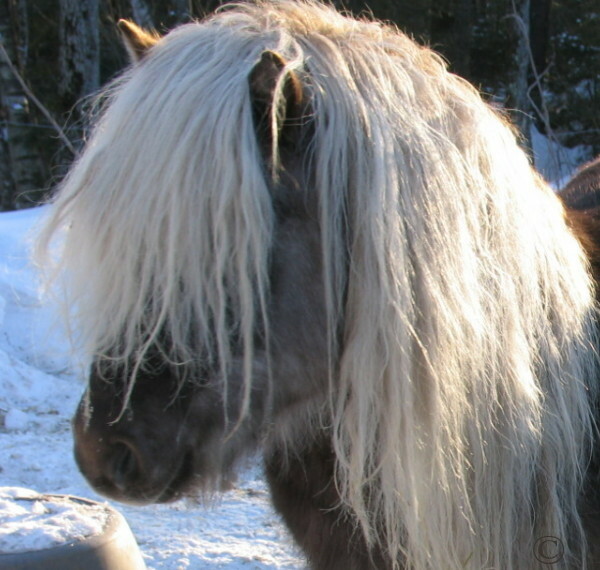 Friends of mine have asked me to advertise their horses on the Internet. Owners are sure all horses will pass any vetting you put them through. I can let you know how many would fit your needs if you send me a detailed description of what you need, your expectations, your plans for the horse and the price limit you would like to stay under. In that limit, remember to add the shipping fees. Harnesses and buggies can be bought as well, some of the owners collect them and have a few for sale. The same goes for saddles. So, you are welcomed to come see the horses and equipment in person right away or you can order a video first. We can put most horses on the same video. If you do want to come for a visit I am sure you will find something... Just the sheer number of horses alone makes it a one spot ultimate horse shopping experience! You won't waste your time!!! Half of the horses are 1 1/2 hours east of Montreal near Trois-Rivières and the other half are in Quebec City, in the province of Quebec (Canada). You can fly into Montreal and rent a car or fly into Quebec City and we can pick you up. We'll even take you to see the horses and bring you back to your hotel (next to the airport) or you can come in your own car. There is a resort hotel near Trois-Rivières horses where you can stay. It is an amazing vacation spot,e.i., gourmet food, lots of 4 seasons activities and even health rejuvenation services. Old Quebec City is also quite the vacation spot. Being in Old Quebec is like being in Europe and 20 years old again!!! Don't worry I will help you organize your trip if you want me to. View our Quebec tourism page for more information. If you prefer ordering the video before coming, $15 is required to cover costs and shipping; and also to avoid sending tapes to "just curious people". Please mail check to Sanda Saunders, 574 Portage Road, Petawawa, Ontario, Canada, K8H 2W8. ***For courier delivery I can just mail you a video reverse charge, this way you don't need to send a deposit (so you don't need to wait untill your check gets here). Well I hope I can help you find your dream horse. If you give me your telephone number I can call to give you directions and help make arrangements. Thanks for your interest and make sure to bookmark this site so you can keep checking back for upgrades in the listings and pictures. What breeds would you consider? What combination of breeds do you like? What kind of "looks" and "build" do you like? What is the Minimum size required? What is the Maximum size required? What is the intended purpose for the horse? What is the intended level of achievement? What is the minimum training required? The price for the horse should preferably stay under what amount? When are you looking to take possession of the horse?